With former spook Sergei Skripal being discharged from Salisbury hospital on May 18, two guinea pigs and a cat which belonged to the ex-spy and died after they were sealed off for investigation have become the only casualties of the Salisbury poisoning incident. The investigation into the case continues, still shedding no light on what actually happened on March 4, when Sergei Skripal and his daughter were found unconscious on a bench near a Salisbury shopping mall. The poisonous substance the two had been allegedly attacked with has also become a subject of lively debate. However, from the outset, Russia was singled out by the British government as the only possible culprit behind the alleged attack. It is hardly surprising, says Vladimir Golstein, associate professor of Slavic Studies at Brown University: "As good politicians, British Tories seem be following the rule number one of international politics: 'Whatever happens in the world, blame Russians'." "I am sure there were plenty of fish to catch in the muddy waters of Russophobia," the American academic told Sputnik. "Tories could ingratiate themselves back to EU, or demonstrate to Washington Consensus that they are part of its New World Order anti-Trump alliance, or use relatively sane and cautious remarks of the Labor leader to score some points against the opposition, or divert the attention from some other pressing domestic or international problems — but they clearly sensed the opportunity to be exploited from Skripal's illness caused by some sort of poisoning, and went at it with full energy of incompetent dilettantes." Playing directly into their hands, "the British press has always been there to beat the war drum and start another round of jingoism," the professor noted, adding that there were also those who pointed to obvious discrepancies in "this highly inconclusive and unconvincing narrative." "Consequently, the story of evil Russians trying to kill their former agent practically died out," Golstein stressed. 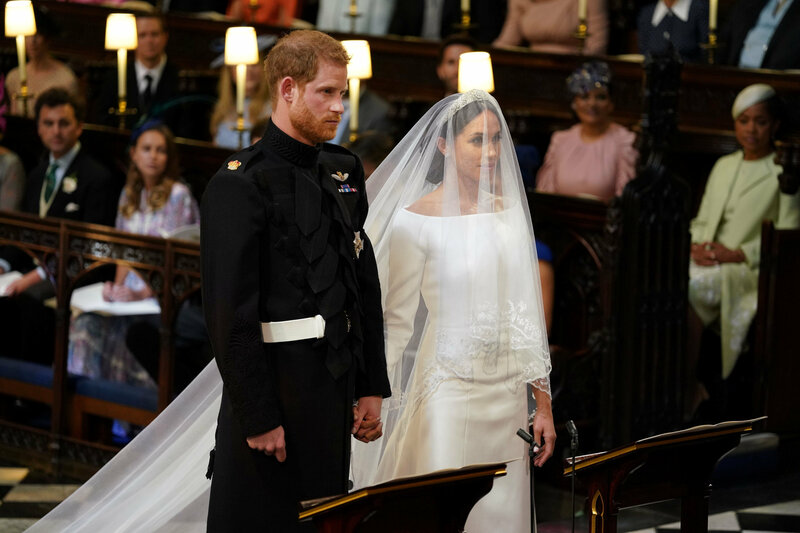 "Luckily for the ruling British class, which is very conscious of its need to constantly feed the masses with bread and circus, a great pageantry came along: royal wedding. The Skripals are conveniently forgotten." The professor noted that one can only hope that eventually the truth about the cause of the Skripals sudden illness will come out, or "it might end up being one of those classic British stories in the manner of Jack the Ripper, generating plenty of novels and films in the years to come," he remarked wittily. 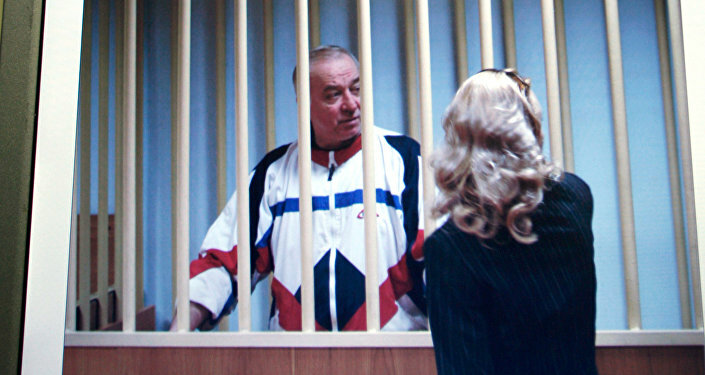 Observers are racking their brains about how Sergei and Yulia Skripal have managed to recover after being exposed to A234, which was described by The Financial Times' interlocutor Gary Stephens, a pharmacology expert at the University of Reading, as being "a more dangerous and sophisticated agent than sarin or VX and is harder to identify." Speaking to Sputnik, Leonid Rink, one of the developers of the A234 nerve agent group, dubbed "Novichok" in the West, noted that just 50-100 grams of A234 could have killed all living things in Salisbury. The other factor prompting Rink's skepticism was the report by the Organization for the Prohibition of Chemical Weapons (OPCW) saying that a toxic compound related to the Skripal poisoning was of "high purity," which, according to the expert, was impossible, given the agent's high volatility. Explaining the miracle of Sergei and Yulia's relatively rapid recovery, the Salisbury district hospital said it was the result of "the hard work, skill and professionalism of our clinicians, who provide outstanding care to all our patients, day in and day out." However, as President Vladimir Putin noted on May 18 during a joint press-conference with German Chancellor Angela Merkel: "God give [Sergei Skripal] good health… if a military-grade poison had been used, the man would have died on the spot." The Russian president reiterated that Moscow is ready to provide its assistance to British counterparts in the Salisbury poisoning case investigation. Meanwhile, the UK and other European major states are being drastically tested by US President Trump, who has gone on a withdrawal spree by threatening to pull out of Syria as quick as possible and then actually leaving the Iran nuclear deal. "I am not sure, that either France or Britain would be able to operate in Syria without the US support," Golstein said, expressing doubts regarding the sincerity of Washington's intention to leave the Syrian war theater. He noted that "it is absolutely clear, that the comprehensive diplomatic talks that would involve NATO countries, Iran, Israel, Russia and Syria, are the only way to resolve the continuous suffering of Syrian people." "It is also worth stressing at this moment that 'the times they are a-changing,' and that the West, while still maintaining its economic and military power, has lost its ability to dominate the world of news, information, and narratives," the American professor opined. "Thanks to the internet and modern technology, the facts are not as easily suppressible by the dominant discourse, as they used to be. Russia, among other players, has finally understood that what matters, is not the power of sword or gold, but the power of ideas, facts, integrity, and good will." The academic noted that "we are witnessing a world that no longer depends on the Western hysterics, decrying this or that outrageous attack in Syria, while attributing it to 'evil [Bashar] Assad'." While Israel or the US can still conduct unprovoked attacks on Syrian territory, these attacks are getting less and less support, Golstein pointed out, commenting on the April 14 joint missile attack on Syria conducted by the US, France and the UK and a series of strikes on Syrian territory carried out by Israel in recent months. "They reveal one more time, that the resort to violence is actually the sign of weakness, the sign of strength is to get engaged in constructive diplomacy," he emphasized. Why Not Finally Start Thinking Globally? Trump's decision to pull out of the Joint Comprehensive Plan of Action (JCPOA), commonly known as the Iran nuclear deal, has sent crude prices high: This week the Brent crude has broken the ceiling of $80 per barrel. Although it fell to $78.5 p/b on Saturday, the trend has given the shivers to global investors. It appears that Trump is involuntarily playing directly into Russia's hands, which is obviously interested in the recent hike, while at the same punishing his European allies. "Recent events have shown us that the fake unity of some countries (EU and NATO alliances come to mind) — at the expense of excluding, maligning, and ostracizing others — does not really work," Golstein said, commenting on the paradoxical situation. He pointed out that if one takes a look at some "temporary military alliances — like NATO vs. the Warsaw Pact, they might have made some sense." "There was real rivalry and real dangers coming from each block, and therefore there was a need of forming an alliance," Golstein elaborated, adding that a lot has changed since then. "While the whole planet faces the issues of climate, overpopulation, rational use of resources, possibility of nuclear annihilation, it is rather humorous to watch the EU pontificating on sanctions, delivering empty speeches of indignation, while carrying out orders of the infantile regime from across the ocean," he said. "Why not finally start thinking globally?" the professor asked, "Why exclude Russia and Iran, why not join China in its plans of One Belt One Road (OBOR)?" All in all, endless military actions and provocations bring far less dividends than development and collaboration: "There are millions of Russians, Iranians, Chinese, Indians, who want to travel, trade, get engaged in all kinds of beneficial cooperation," he underscored. "Yet, McCain-like paranoia prevents the world from really entering the XXI century. And the issue is not Trump, as some Europeans or Americans want to believe. The issue is that the current leadership in both Europe and America are actually failing to deliver. They are not serving their own population's interests. They are playing high-school games, while the world faces serious, grown-up problems," the academic concluded. The views and opinions expressed by Vladimir Golstein and Ekaterina Blinova are those of the contributors and do not necessarily reflect those of Sputnik.